A formidable matriarch learns the hard way that no family is perfect in this witty, sparkling debut novel. 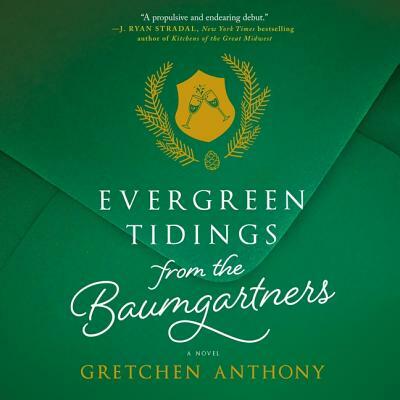 Full of humor, emotion, and surprises at every turn, Evergreen Tidings from the Baumgartners brings to life a remarkable cast of quirky, deeply human characters who must learn to adapt to the unconventional, or else risk losing one another. This is the story of a family falling to pieces-and the unexpected way they put it all back together.